So, you're about to have a tooth capped with a crown. Do you know what you need to know before you undergo this common dental procedure? Here's a short true or false quiz to test your knowledge of dental crowns. All crowns are the same. False — while all crowns have the same basic design — a life-like prosthetic tooth fitted over and bonded or cemented to a natural tooth — their compositions can vary greatly. Early metal crowns consisted mainly of gold or silver and are still used today. 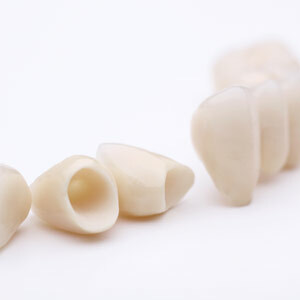 Porcelain-fused-to-metal (PFM) crowns — a metal interior for strength overlaid by a porcelain exterior for appearance — became popular in the latter 20th Century. Although still widely used, PFMs have been largely surpassed by newer all-ceramic materials that are stronger than past versions. Crowns can differ in their artistic quality. True — all crowns are designed to replicate a natural tooth's function — in other words, enable the tooth to effectively chew again. But a crown's appearance can be a different story, depending on how much attention to detail and artistry goes into it. The higher the individual craftsmanship, the more lifelike it will appear — and the more expensive it can be. With digital milling equipment, dental labs are obsolete. False — although technology exists that allows dentists to produce their own crowns, the equipment is not yet in widespread use. Â The vast majority of crowns are still produced by a trained technician in a dental laboratory. And just as you base your choice of a dentist on your confidence in and respect for them, dentists look for the same thing in a dental lab — good, reliable and consistent results. Your insurance may not cover what your dentist recommends. True — dental insurance will typically pay for a basic, functional crown. Aesthetics — how it will look — is a secondary consideration. As a result, your policy may not cover the crown your dentist recommends to function properly and look attractive. A new crown, however, is a long-term investment in both your dental function and your smile. It may be well worth supplementing out of pocket your insurance benefit to get the crown that suits you on both counts. If you would like more information on crown restorations, please contact us or schedule an appointment for a consultation. Crowns are a mainstay of cosmetic dentistry used to improve your smile’s appearance in a variety of situations. Not all crowns are alike, though — and the differences could affect your cost. Crowns or caps are needed to cover remaining tooth structure which was previously damaged. Tooth decay and trauma are the major reasons for damage or loss of tooth structure that make crowns necessary. After preparing the remaining healthy tooth to fit into the new crown, we then make an impression mold of the tooth for a dental technician to use to create the new crown. It’s at this point where the road to your new smile can take different paths, both in construction and how much artistry goes in to your crown’s formation. Porcelain crown construction falls into two general categories. The first category involves life-like porcelain fused to an inner core of metal. Because many older types of porcelain tend to be brittle and subject to breaking under pressure, metals are used to strengthen the crown. A fused crown can thus provide both durability and a life-like appearance. In recent years, though, new dental materials have made the second category — all porcelain crowns — a viable option. Either lithium disilicate or zirconium oxide account for nearly two-thirds of crowns made today. Although research on their durability is relatively new, initial results have been encouraging, showing advanced all-ceramic crowns can tolerate forces comparable to porcelain fused to metal (PFM) crowns used in bridges. On the downside, these newer materials may be more expensive than PFM crowns. Costs for manufacturing may also increase depending on how life-like the matching of color with other teeth you desire your crown to be. For example, individual teeth aren’t a uniform color — there are gradations of color that can vary from the tip of the tooth to the root. To capture these gradations in an individual crown requires a high level of artistry and time by the dental technician, which increases the final cost. If you’re in need of a crown, it’s best to first make an appointment for a consultation to review your options, and to consider both your expectations and financial ability. Together we can determine what it will take to create a new look for your teeth that fits your expectations and your budget. If you would like more information on dental crowns, please contact us or schedule an appointment for a consultation. You might think David Copperfield leads a charmed life:Â He can escape from ropes, chains, and prison cells, make a Learjet or a railroad car disappear, and even appear to fly above the stage. But the illustrious illusionist will be the first to admit that making all that magic takes a lot of hard work. And he recently told Dear Doctor magazine that his brilliant smile has benefitted from plenty of behind-the-scenes dental work as well. Copperfield’s two front teeth were badly injured by the impact. “My front teeth became nice little points,” he said. Yet, although they had lost a great deal of their structure, his dentist was able to restore those damaged teeth in a very natural-looking way. What kind of “magic” did the dentist use? In Copperfield’s case, the teeth were repaired using crown restorations. Crowns (also called caps) are suitable when a tooth has lost part of its visible structure, but still has healthy roots beneath the gum line. To perform a crown restoration, the first step is to make a precise model of your teeth, often called an impression. This allows a replacement for the visible part of the tooth to be fabricated, and ensures it will fit precisely into your smile. In its exact shape and shade, a well-made crown matches your natural teeth so well that it’s virtually impossible to tell them apart. Subsequently, the crown restoration is permanently attached to the damaged tooth. There’s a blend of technology and art in making high quality crowns — just as there is in some stage-crafted illusions. But the difference is that the replacement tooth is not just an illusion: It looks, functions and “feels” like your natural teeth… and with proper care it can last for many years to come.Â Besides crowns, there are several other types of tooth restorations that are suitable in different situations. We can recommend the right kind of “magic” for you. If you've lost a tooth, you have a number of options for replacing it. Perhaps the best choice in terms of lifelikeness and durability is a dental implant. All implants have the same basic architecture: a titanium metal post imbedded in the jawbone to replace the root; and an abutment, a metal collar that links the post with a lifelike porcelain crown. But implants can vary in how the crown attaches to the abutment and post — either cemented to the abutment or screwed through the abutment to the post. Either method will permanently secure the crown to the implant. But there are advantages and disadvantages for each. A screw-retained crown may better facilitate any future repair that might be needed. For a skilled dentist it's a simple matter of removing the screw and then the crown from the abutment. There's less risk of damage to the implant during repairs or crown replacement. Many dentists also prefer screws for crowns placed at the same time they're installing the implant post (a procedure called immediate loading). The screw access hole, however, could pose a cosmetic problem. Although we can cover it over with tooth-colored filling, it may still be noticeable and unattractive especially for a tooth visible when you smile (in the smile zone). There's also the possibility the porcelain around the access hole could chip. By contrast, cemented crowns have a smooth, unbroken surface and are aesthetically ideal for smile zone teeth. But the cement could interact poorly with gum and bone tissue in some patients, causing inflammation and possible bone loss. 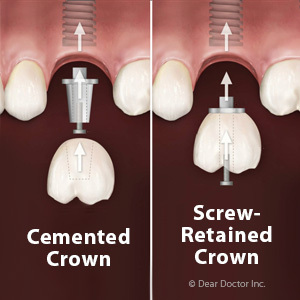 And unlike screw-retained crowns, cemented crowns are difficult to remove for implant repair. We may have to drill through the crown to access the screw between the abutment and the post, and then repair it cosmetically if we use the same crown. Again, the final result may not be quite as visually appealing. In the end, it will depend on the implant's location, how your body reacts to the cement or your dentist's preference. In either case, though, you'll have a tooth replacement that's functional, life-like and able to endure for many years to come. Want to know the exact wrong way to pry open a stubborn lid? 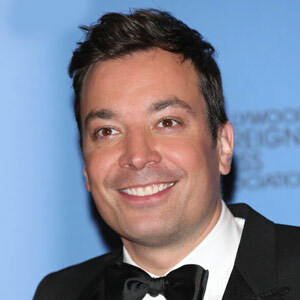 Just ask Jimmy Fallon, host of NBC-TV’s popular “Tonight Show.” When the 40-year-old funnyman had trouble opening a tube of scar tissue repair gel with his hands, he decided to try using his teeth. What happened next wasn’t funny: Attempting to remove the cap, Fallon chipped his front tooth, adding another medical problem to the serious finger injury he suffered a few weeks before (the same wound he was trying to take care of with the gel). If there’s a moral to this story, it might be this: Use the right tool for the job… and that tool isn’t your teeth! Yet Fallon is hardly alone in his dilemma. According to the American Association of Endodontists, chipped teeth account for the majority of dental injuries. Fortunately, modern dentistry offers a number of great ways to restore damaged teeth. If the chip is relatively small, it’s often possible to fix it with cosmetic bonding. In this procedure, tough, natural-looking resin is used to fill in the part of the tooth that has been lost. Built up layer by layer, the composite resin is cured with a special light until it’s hard, shiny… and difficult to tell from your natural teeth. Best of all, cosmetic bonding can often be done in one office visit, with little or no discomfort. It can last for up to ten years, so it’s great for kids who may be getting more permanent repairs later. For larger chips or cracks, veneers or crowns may be suggested. Veneers are wafer-thin porcelain coverings that go over the entire front surface of one or more teeth. They can be used to repair minor to moderate defects, such as chips, discolorations, or spacing irregularities. They can also give you the “Hollywood white” smile you’ve seen on many celebrities. Veneers are generally custom-made in a lab, and require more than one office visit. Because a small amount of tooth structure must be removed in order to put them in place, veneers are considered an irreversible treatment. But durable and long-lasting veneers are the restorations of choice for many people. Crowns (also called caps) are used when even more of the tooth structure is missing. They can replace the entire visible part of the tooth, as long as the tooth’s roots remain viable. 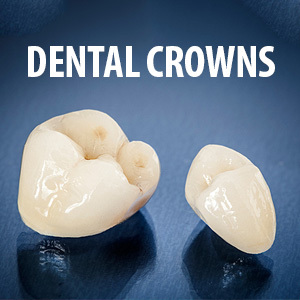 Crowns, like veneers, are custom-fabricated to match your teeth in size, shape and color; they are generally made in a dental lab and require more than one office visit. However, teeth restored with crowns function well, look natural, and can last for many years. So what happened to Jimmy Fallon? We aren’t sure which restoration he received… but we do know that he was back on TV the same night, flashing a big smile. How Often Should I Visit My Dentist? Can an App Help You Brush Your Teeth? What's Causing Your Throbbing Toothache? What Is Root Canal Therapy? What are the Benefits of Dental Veneers? Could Teeth Whitening Work For Me? Am I a Good Candidate for Dental Implants? How often should I be visiting the dentist? What Are the Parts of A Dental Implant? How Scaling and Root Planing Saves Teeth? Did You Know? February Is National Children's Dental Health Month! What are Dental Implants Made Of? Actor Ed Helms' Tooth-Yanking Trick: It Was a Dental Implant! Whitening is a Safe and Effective Way to get That "Hollywood Smile"
What Cosmetic Option Would Best Improve Your Smile? What Kind of Vitamins Are Truly Vital? Michael Douglas' Plea: Get Screened for Oral Cancer! What's Your Crown Made Of? Herbal Supplements: Do You Have to Tell Your Dentist? Are Porcelain Laminate Veneers Right For You? Fixing Adult Teeth Is No Mission Impossible - Just Ask Tom Cruise! Need a Root Canal? Fear Not! Reality Star Kept His Eyes on the Prize: New Teeth! Do You Want A "Perfect" Or "Natural" Smile? We Need To Know!